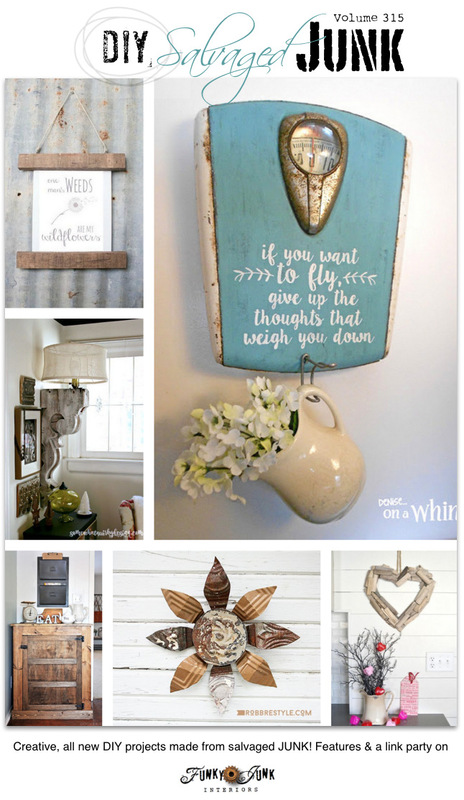 PJ 316 – the BEST DIY salvaged junk projects! Hey everyone! 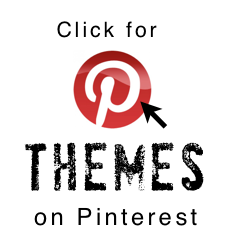 Welcome back to my version of Disneyland… where you just flat out find the BEST blogland junk projects! It’s been a creative week around here! * Two new stencil designs were launched, LUNCH and BAKERY, attached with new projects! Very fun! 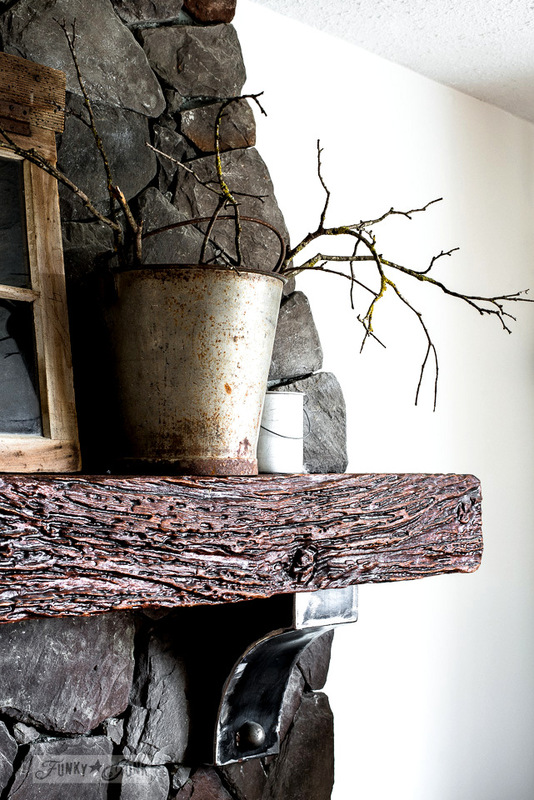 * I whipped up a moody winter mantel with buckets and twigs… what do you think of the look? * I also learned how to clean with my new buddy, KonMari. Is the book worth it? Get my views on this non cleaner type HERE. 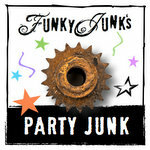 NEXT WEEK… bring along all your junky valentines… there will be a special linkup just for it! So… let’s see what you’ve been busy doing! 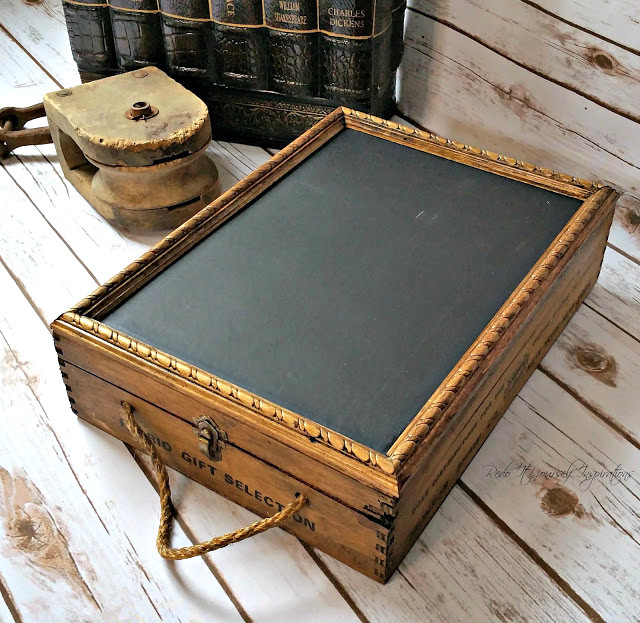 After Robin landed a plain, wine crate from a thrift store, she ramped things up 1 million percent (maybe 2) by adding a lid, that doubles as a chalkboard. But it does even more than this… the post shows all! Excuse me a moment… cover your ears? THIS IS GORGEOUS!!!! Thanks. 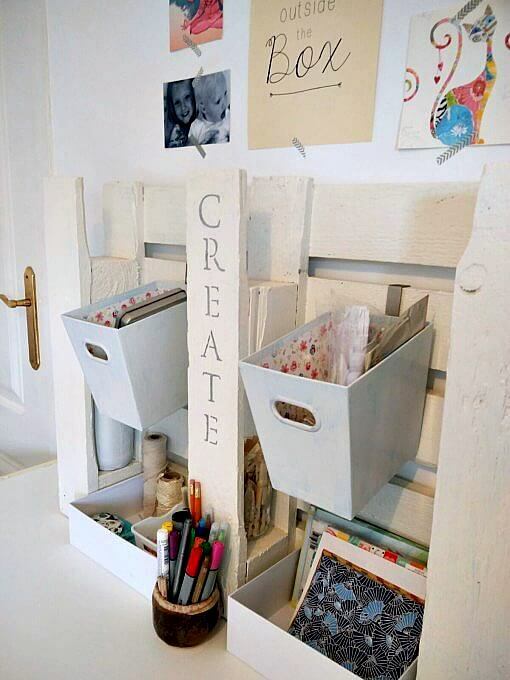 Katrin’s desk was a massive dumping station… until a little pallet entered her life. Isn’t this the sweetest idea ever?! Such a space saver, by using the rungs to go up. Valentine’s Day is all about personalization. So this map treat idea by Claire is pure genius. Choose special places your gift receiver (HAWAII) adores, and you have one very special gift, that can pocket all kinds of little things! 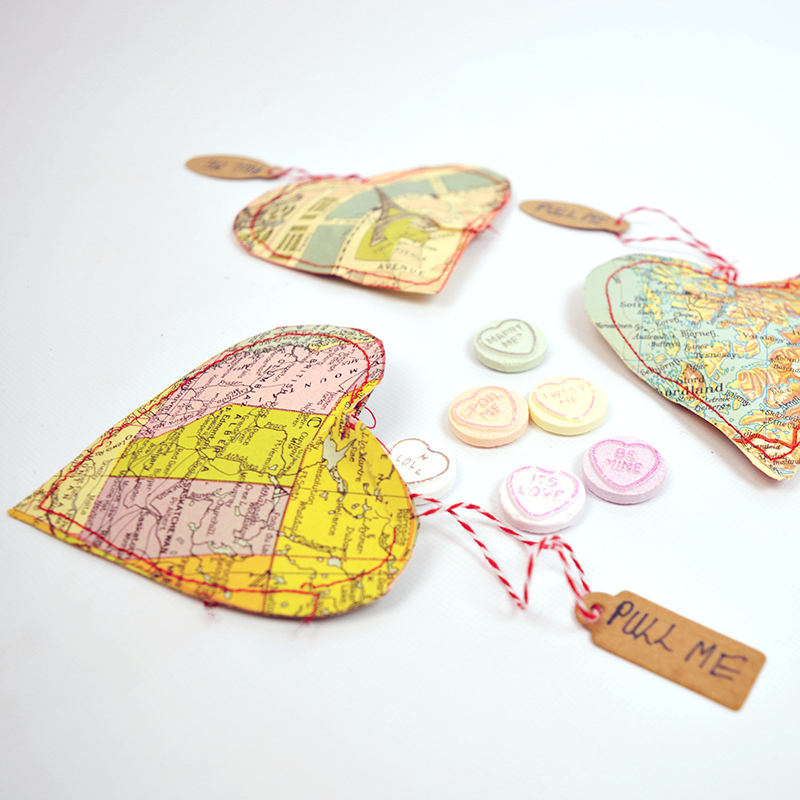 Wouldn’t these make adorable travel themed ornaments if you were to go somewhere special (HAWAII) for Christmas? You know.. hypothetically and aloha… oops, I mean, all. 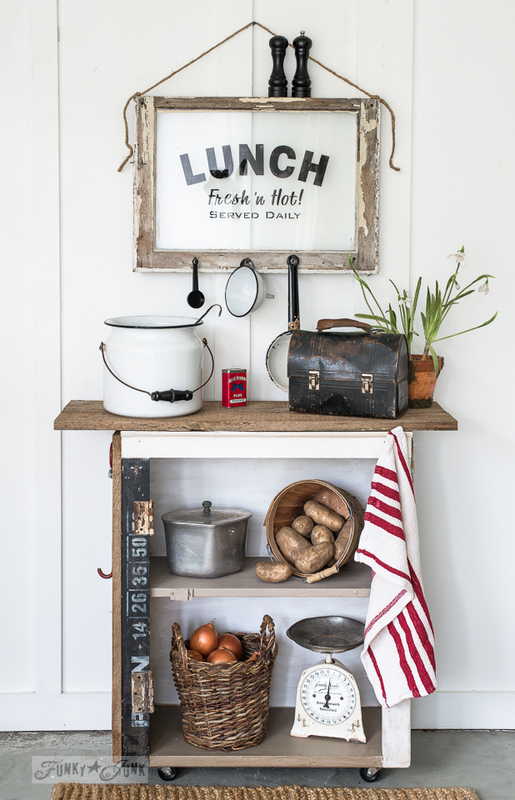 Marie came up with such a clever way to make a reclaimed wood tray… without reclaimed wood! Visit her post for her top secret! Recognize the coffee stencil? 🙂 You can find it HERE. 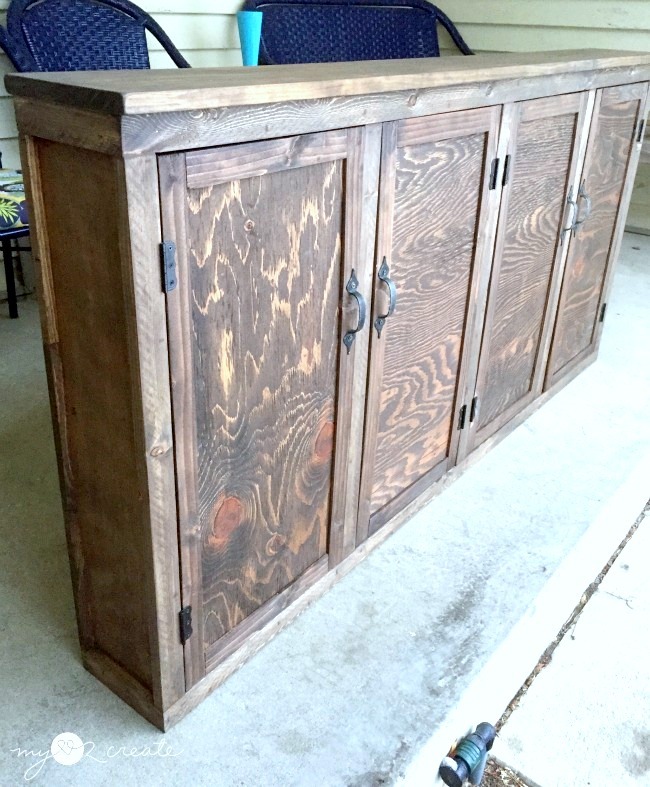 You will NEVER guess what lurks behind these cabinet doors Mindi built… other than video games. Jess wanted to create something out of leather for her husband, material traditionally associated with three years of marriage. An old wallet later, she created this GORGEOUS, sophisticated catch all. Isn’t it classy?! The richness of leather never gets old! Perfectly soft for a cell phone too. LUNCH is a new stencil design, you can find HERE. Not a baker? Fake it till ya make it with this cute sign that says otherwise! BAKERY is a new stencil design, you can find HERE. 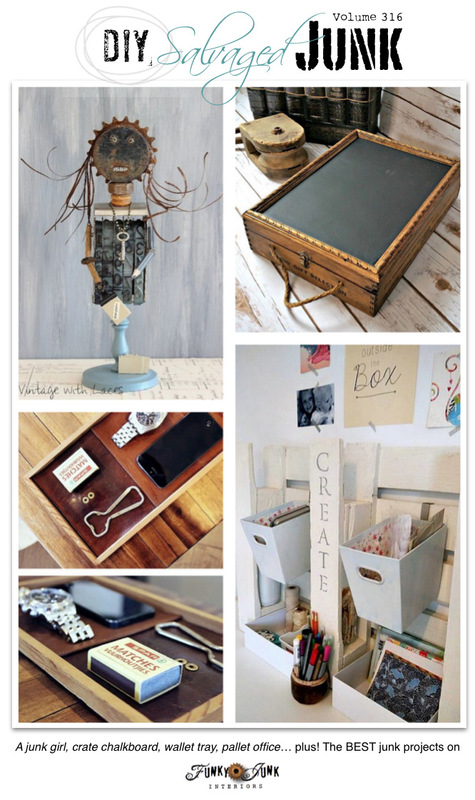 Bloggers, Link up your newest and coolest upcycles below… can’t wait to see what you’ve been up to! (not mandatory by the way…) Right click the button above, save to desktop, upload into your blog post like a photo, apply a no-follow attribute, and attach this post’s url as a link to the picture. 4. 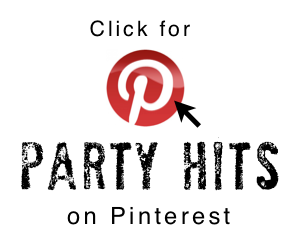 By linking up here, you’re cool with me featuring you on my blog, Pinterest, Twitter, FJI Facebook and I Love That Junk with a link back to you, or it’s own new LINK WIDGET with no additional permission required. Hi Donna, used your great Grocery stencil again along with the Est 19.. from the Antiques and Collectibles stencil. Old fence boards are treasures. Thanks for PJ 316. Love seeing what you created this week. Hahaha, Donna, Thank you for my new nickname! You cracked me up 🙂 ! You definitely made Joy’s day and mine as well with the feature. Thank you so much! I love that “Lunch” stencil–especially on a window! It looks great like that. 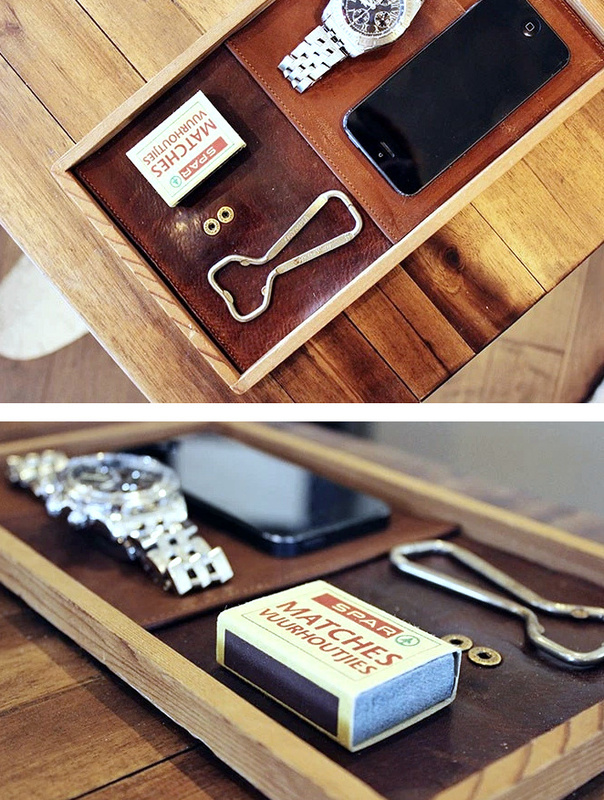 Thanks so much for featuring my leather tray tutorial. I’m in great company! 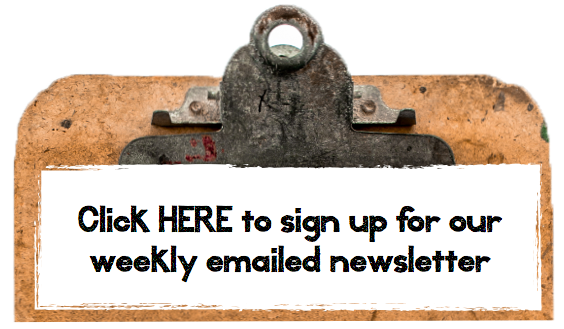 Whoohoo, Donna, thanks so much for this feature, I’m doing cartwheels in Pj’s around the house! So happy…Happy weekend! Thanks for featuring my heart maps. I hope you get one with a Hawaii map for valentines ! Great features Donna! 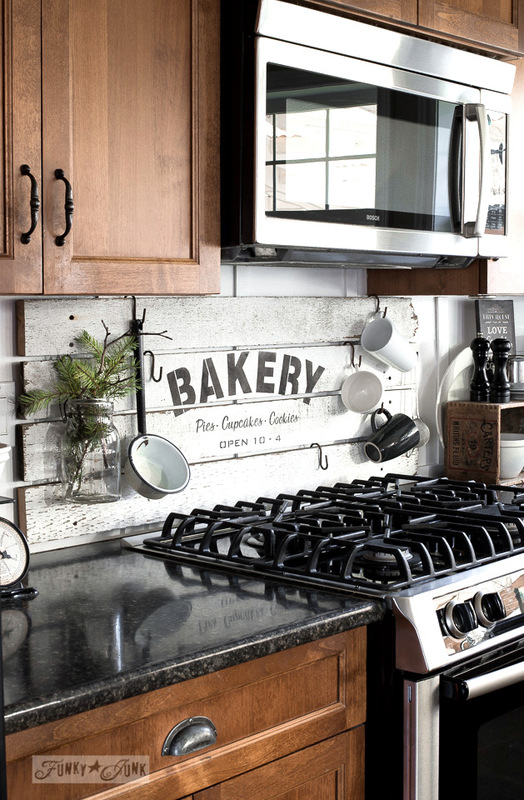 I love your Bakery sign backsplash. 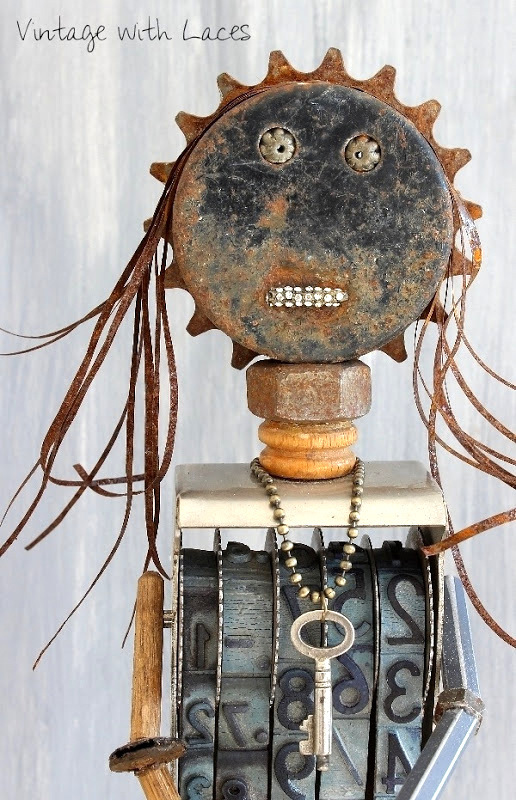 Would love Joy at my desk…she makes you smile! 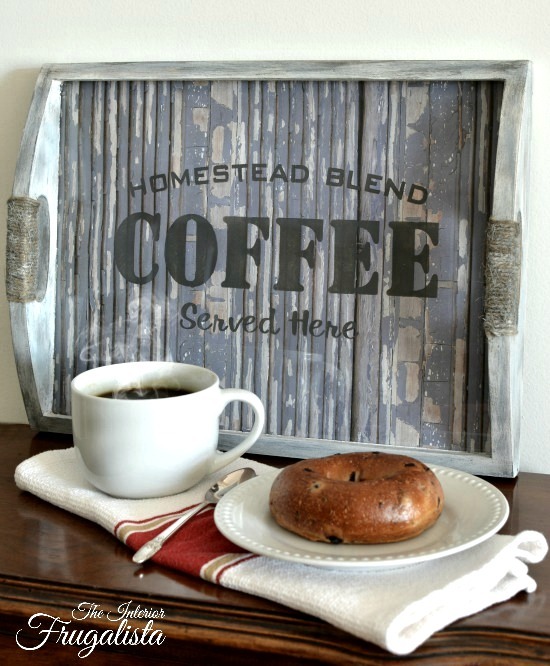 Thank you so much Donna, for featuring my Faux Reclaimed Wood Coffee Tray – much appreciated! Thank you so much for the wonderful feature, Donna! Hope you have a great week… you made mine!! !